Home|The Flower Lovers Blog|Our October Catalog could be in your Mailbox today. Rest assured, Flower Lover fans the next edition of the Calyx Flowers’ catalog should be arriving in your mailbox this week. We’re featuring over 50 new designs in our autumn collection. 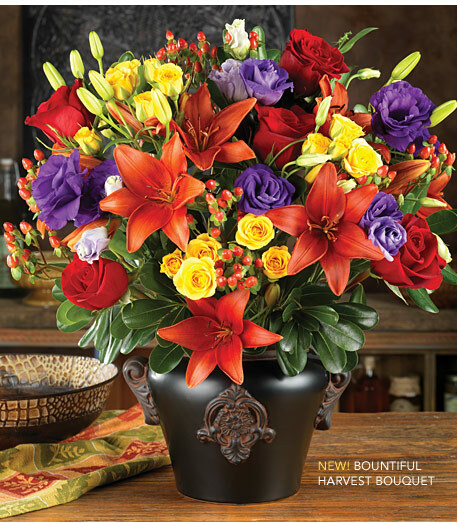 In fact, to celebrate this season of color, we are featuring the gorgeous Bountiful Harvest Bouquet on our cover. It truly embraces the season like no other bouquet with its colorful palette and vast variety of flowers. Need a fall favorite to hang on a door, in a hall, or above the mantel? You will find our Autumn Traditions Wreath in the Preserved Designs gallery. It’s the perfect addition to your home’s seasonal decor. Looking for a fabulous fall find at an outrageously good price point? 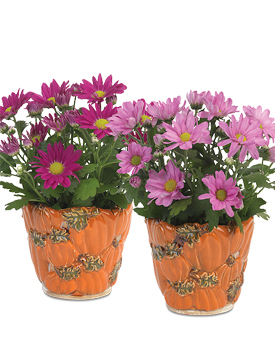 Check out our Pumpkin Chrysanthemums. We love decorating with these blooming beauties. They’re great to add to a tailgating table as they do well in outside fall weather. They are warm and welcoming in an entry way and also make great gifts to give teachers, friends or new neighbors. The best thing is that they are on SALE! When you see all that’s new at Calyx Flowers this season, we guarantee you’re going to fall in love with fall! Shop CalyxFlowers.com today and send an autumn surprise to someone special.